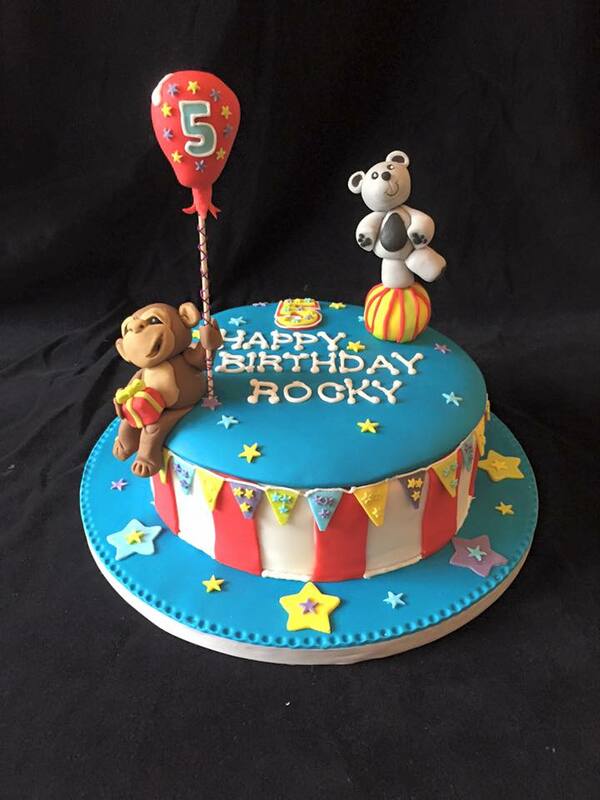 This Circus Cake was the perfect for a very lucky boy, Rocky who loves monkeys! Chocolate Biscuit Cake covered in stripy red & white with a blue top to make the decorations Pop! A sugar monkey holding a 5th birthday balloon & his Bear friend balancing on a ball! Finish off with star bunting to match the party favours! 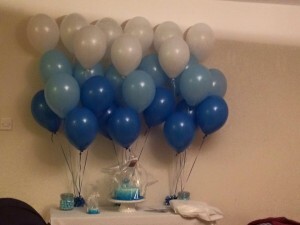 This can be adapted to suit your special day! 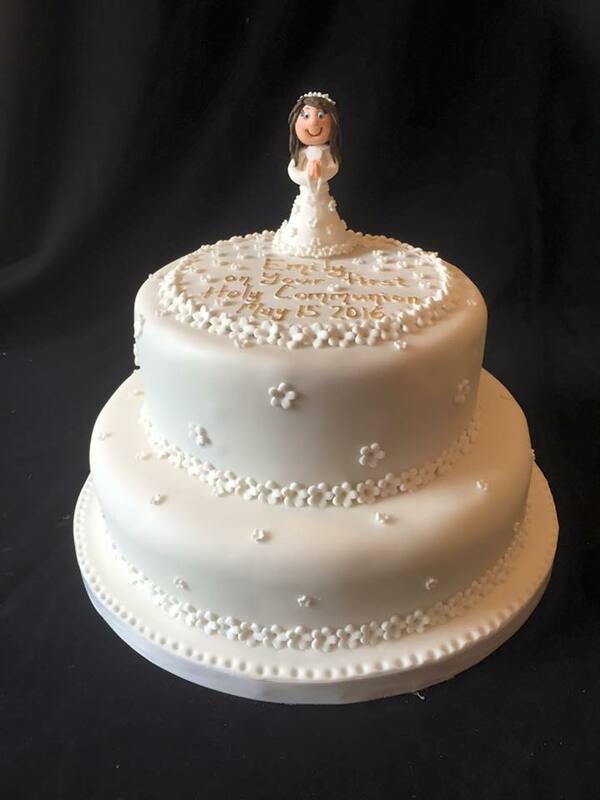 Two tier First Holy Communion cake for Emily. White forget-me-knots and a little Emily on top! Chocolate Biscuit Cake white fondant & cuteness!!!! Glamorous cupcakes for a Confirmation today! 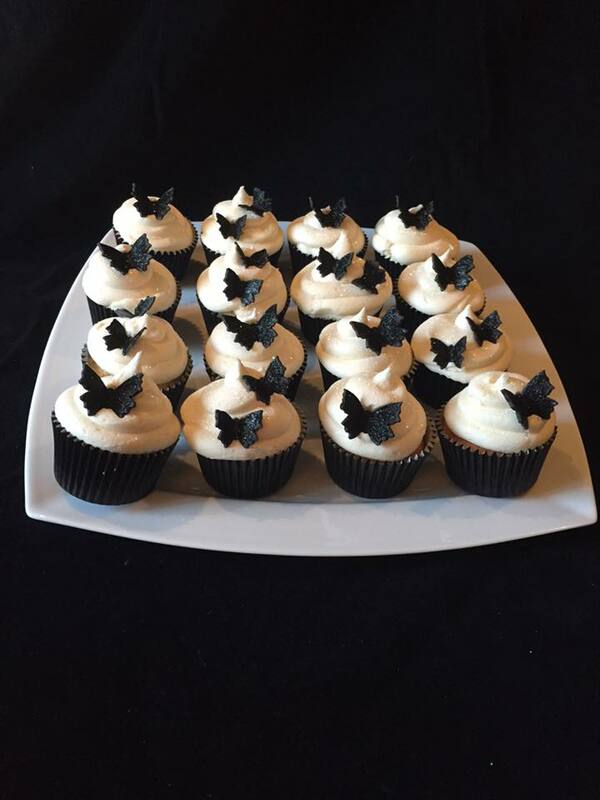 Cupcakes with a light whipped buttercream icing liberally sprinkled with edible glitter & black glittery butterflies to round off these! 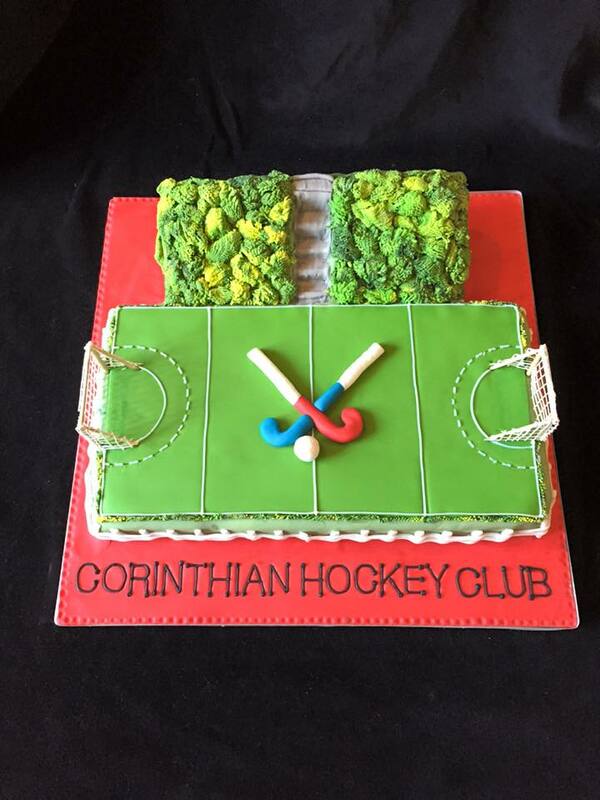 Chocolate Biscuit cake including edible goals, the steep stairs & grassy hill side! All in tastes fondant! Hope it was a good night! 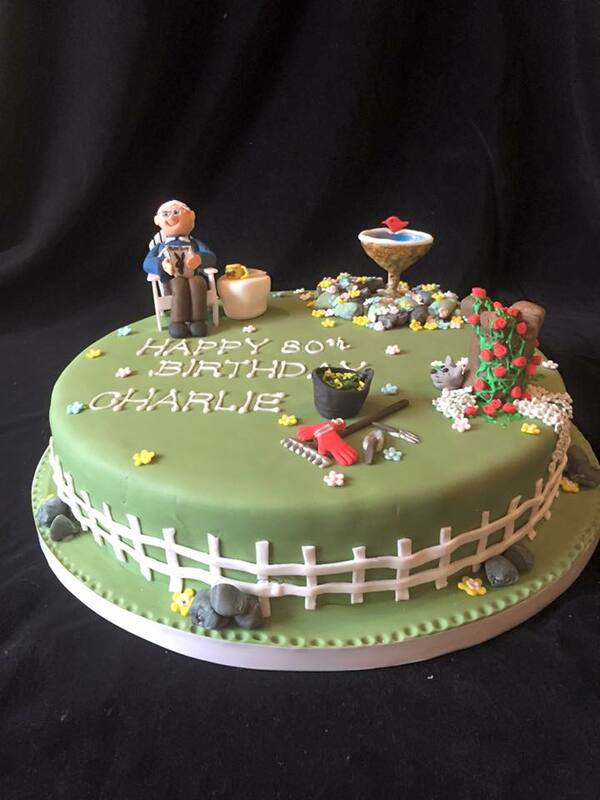 A Garden Cake for Charlie’s 80th everything from a birdbath to the rose covered tree stump. In his beloved garden at home and of course Charlie relaxing and enjoying a cuppa out of his favourite mug and a little read! Chocolate Biscuit Cake covered in yummy fondant with sugar details. Here is a cake topper for Oliver. 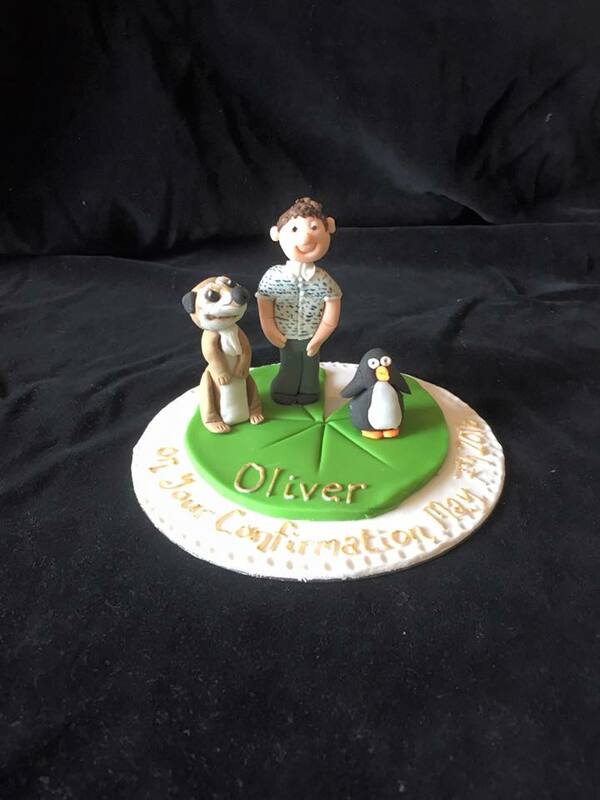 Meerkat, penguin & Oliver on a big lily pad! All to go on the cake his mamma made for his big day! This one is for a Aqua loving grandma! & 70 flowers to celebrate this big birthday! 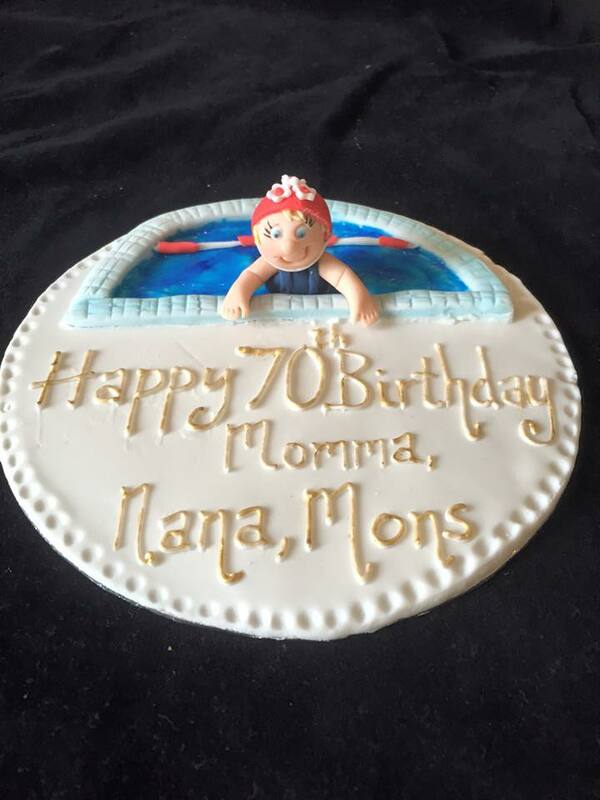 On the cake her daughter made her! 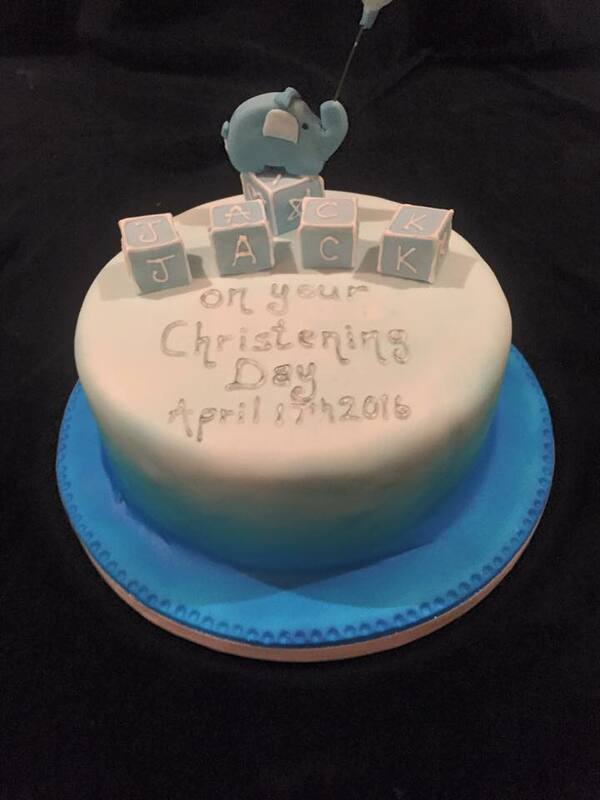 Here is a delightful Christening Cake. 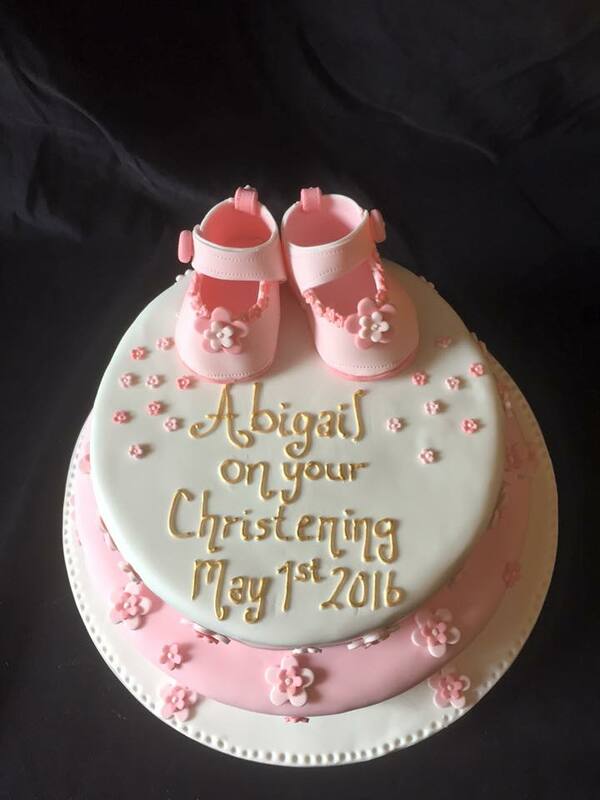 Chocolate biscuit cake in pink & white fondant with double pink flowers & a dainty pair of sugar crafted baby shoes for Abigail’s Christening. This cake is available in any colour & details can be altered to suit your occasion! You can’t help but smile!! 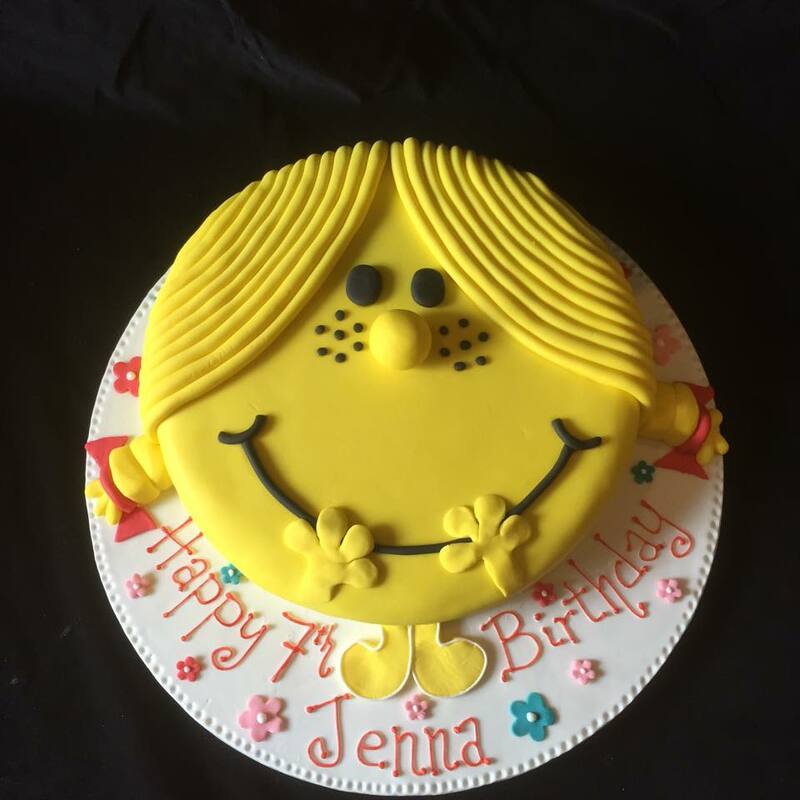 Chocolate biscuit cake covered in a sunshine yellow fondant with fondant hair & freckles! Finished with little flowers & a birthday greeting! This Elephant Blue Ombré Christening Cake is perfect for a colour themed party! Chocolate Biscuit Cake covered in white fondant sprayed blue ombré topped with a delightful blue elephant & baby name blocks. This cake can be made with other colours & toppers for your party!